Why Is Xbox LIVE Getting a Price Hike? The one complaint many have had against Microsoft’s Xbox 360 console is the paid subscription to gain access to the device’s online features. If you noticed an email in your inbox from Microsoft, you may have seen that the annual fee is being raised $10 coinciding with the launch of Kinect. Microsoft’s justification for the price hike is the wealth of online features the company offers. While Microsoft wallows in the lucrative console’s success, making as much as $1.2 billion from the service, many are finding it hard to believe that the Redmond-based company has any real justification. Will Microsoft’s decision to give their online service a price hike hurt the company? More importantly will it hurt the consumer? 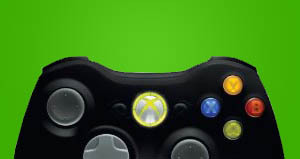 An Industry Analyst from EEDAR stated, “The fee increase will do little to impact the positive momentum of the Xbox 360.” The only group that Xbox has to lose is current subscribers, though Microsoft is extending their hand, offering the group a discount before the November 1st price jump. The Xbox has been selling well, evident in the NPD hardware reports in July, where the console outsold both the Nintendo Wii and DS. Many casual consumers are jumping onboard with the “Kinect-Ready” console, expecting features such as Netflix, Last.fm, Zune, and the ability to play controller-free games. These features are only included with an Xbox LIVE membership. Thus, it stands to reason that many of the casual gamers will join the millions already on LIVE no matter what the price is. Sony’s PlayStation Plus service does not limit consumers when they do not have it, but rather rewards them with discounts and special offers. Only services such as Hulu Plus require the paid subscription, allowing other players to run rampant online. Xbox limits users if they do not pay the subscription. Much of the advertised functionality the console prides itself on requires LIVE, providing users with a watered-down experience if they are not willing to pay. Microsoft has also stated that there will be a family plan for LIVE, allowing gamers to have access to four “Gold” accounts for a mere $100. This is a deal considering the price jump. Though I am upset about the price increase, it is not enough to make me jump ship. Is it enough for you? Will you no longer stand for the madness of Microsoft’s paid subscriptions or will you shell out an extra $10 to continue playing? Let us know.